Whats up next for the Residential Team? 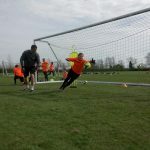 After a great week on the Easter Residential which included 6-8 hrs training a day, International goalkeeper guests, Premier League Champions GK Coach, Goalkeeper Gloves, Goalkeeper Kit, Crazy Catch and plenty of smiles. 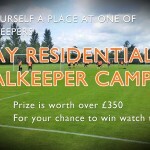 Our team is now gearing up for our 3 day camp on the Isle Of Man and the Residential courses in York & Reading. The Above 3 courses still have space on them so please book early to avoid missing out. I would like to thank Ray and all the coaches at Peterborough for sharing their many years of coaching experience with me and giving me an experience I will never forget. 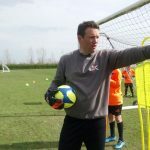 I find J4K totally unique in every way that they run their schools and cannot recommend them enough to any young keeper or parent. Thank you for helping me with my goalkeeping and such a wonderful experience. I learnt alot. 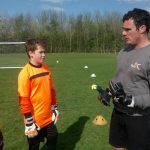 Just a little note to say thanks for the fantastic week Ray, was by far the best camp i have ever been on, the drills were fantastic and the coaches, all amazing. A big thank you to all the J4K Coaches, especially the coaches who came from other countries. 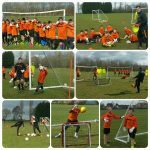 This just shows the commitment of the J4K coaches towards their students. I just want to say that week was the best week of my life so far, loads of good memories plus made a load of new friends, also i have learnt so much from all the coaching i received. John has not stopped talking about the camp, he thoroughly enjoyed his week. It is testament to you and the other coaches that he has come home a better keeper and in a great mood. Mitch has just come back from the camp at Oundle, we would just like to say what a great time he had, and he has learnt so much, with the help of yourself and the rest of the coaches. Dan thoroughly enjoyed it and so did I! The sight of 90+ students training out together was an inspiring sight to behold. Kieran and myself just wanted to say a huge thanks for the camp, Kieran had a fantastic time, he hasnt stopped talking about the week Lol and is already wanting to come again next year. I would like to thank you and all of the other coaches at the camp for giving me such a great experience and for creating such a brilliant learning atmosphere. I feel like that in the 4 Days my keeping has come along fantastically.